Time4Popcorn, a fork of the popular movie torrent downloader and streaming software Popcorn Time, has launched an Android app. The developers told TechCrunch that Google pulled the program from Google play citing copyright concerns, but it's still available on their website and you can download it here. The Android client is similar to its desktop counterpart both in terms of look and feel as well as functionality. There are some limitations like files sometimes taking a few minutes to start playing, some UI elements being a bit low-res or not yet enabled, and more. But none of them are showstoppers. The app, currently in Beta phase, is compatible with Android 4.2 and above and like its previous versions and forks, all its source files are available on GitHub. The Popcorn Time team has also released a new version of the app featuring TV shows and a new user interface. As far as desktop versions are concerned, the app is currently available for Mac, Windows 7, and Linux (32-bit and 64-bit), but developers are promising a Windows XP version in the near future as well. This is just one of the forks of the original Popcorn Time project that was designed/developed by a Buenos Aires, Argentina-based developer, but was shut down only days after its release due to piracy concerns. The app offers quick access to hundreds of torrent movies (including copyrighted ones) with a few clicks, and lets you download torrents in the background while you watch. 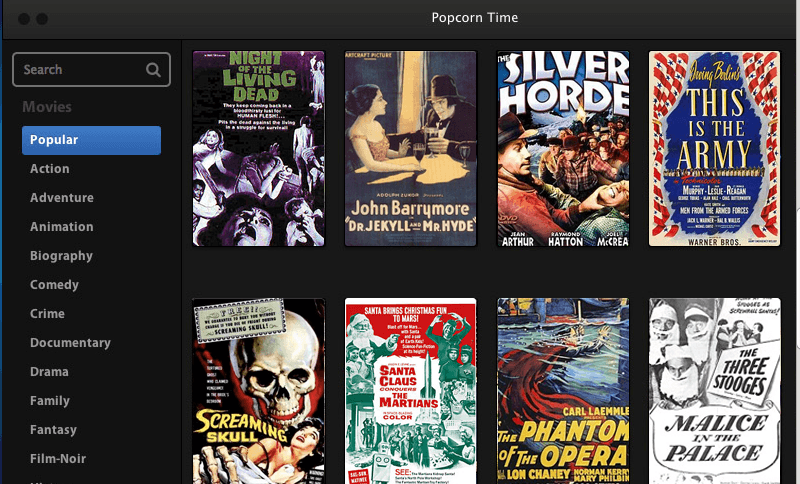 Interested in alternative Popcorn Time clients? Here is a detailed list.